← What can Trigger a Tax Audit? Having a small business is itself a flag of sorts. 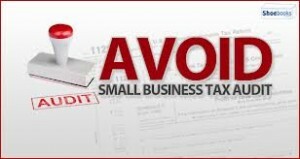 Some people use small businesses as a tax dodge, a way to write off expenses, and so the IRS keeps a close eye on small-business owners. Being self-employed — Filing a Schedule C isn’t a guarantee that you’ll be audited. But the IRS doesn’t like to see “a small Schedule C that you continue to show losses on while you have a regular job”. Home offices — There have been several articles on major sites recently touting the tax advantages of a home office, but you’ve got to be careful. This is a huge red flag. Family members on the payroll — One common tax dodge is to “hire” a family member in order to take more money out of a business. 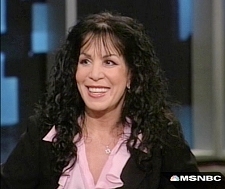 There’s nothing wrong with employing family members as long as they’re actually working. Unlikely business deductions — It can be tempting for small-business owners to claim new “toys” as business deductions. That Nintendo Wii? Not a business expense unless you’re reviewing games with the intention to make a profit. That trip to New York? Not a business expense unless it serves a legitimate purpose. Excessive entertainment deductions — The IRS is on the lookout for companies that take excessive deductions, or that try to bundle together personal and business expenses. 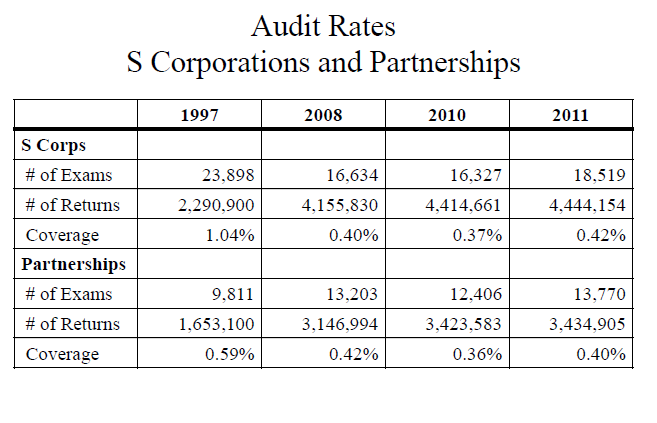 Below is a table that shows the audit rates of S Corporations and Partnerships for the years of 1997, 2008, 2010 and 2011. At Lefstein-Suchoff CPA and Associates we have years of experience representing individuals and business in an IRS tax Audit. Our experienced negotiators will skillfully assist you in your tax audit and you do not even have to be present. This entry was posted in IRS Tax Audit and tagged Business IRS Tax Areas to Watch, Business IRS Tax Audit, IRS Problem Help, Irs Tax Audits, Tax Problem Solutions. Bookmark the permalink.